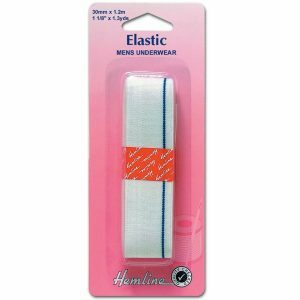 Shirring Elastic: White 20m x 0.75mm. 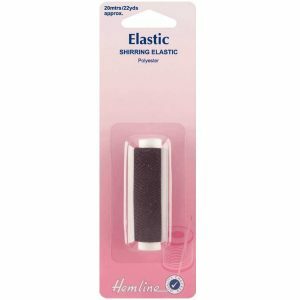 Thin polyester elastic popularly used in smocking and to strengthen cuffs and welts in knitwear. Many uses in general crafting. 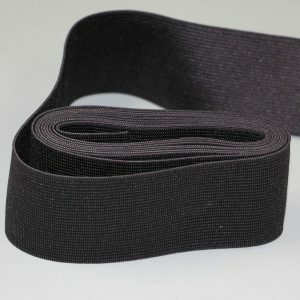 Shirring Elastic: Black 20m x 0.75mm. 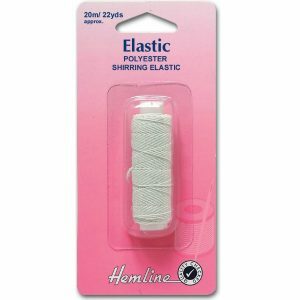 Thin polyester elastic popularly used in smocking and to strengthen cuffs and welts in knitwear. Many uses in general crafting. 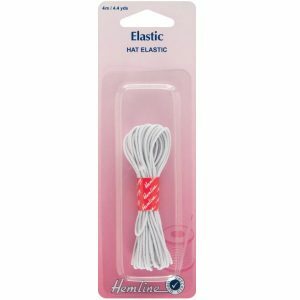 Hat Elastic: White 4m x 1.3mm. Traditional narrow elastic used in millinery and brial wear. Suitable for garters, gathering softer fabrics and strengthening cuffs and welts in knitwear. 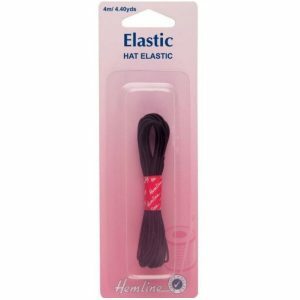 Hat Elastic: Black 4m x 1.3mm. Traditional narrow elastic used in millinery and brial wear. Suitable for garters, gathering softer fabrics and strengthening cuffs and welts in knitwear. 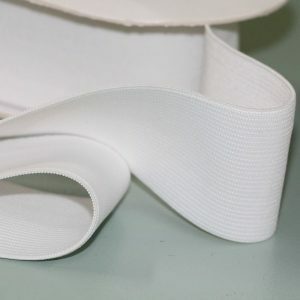 Mens Underwear Elastic: White – 1 2m x 28mm. Strong woven elastic with decorative blue stripe for waistbands on men’s underwear. 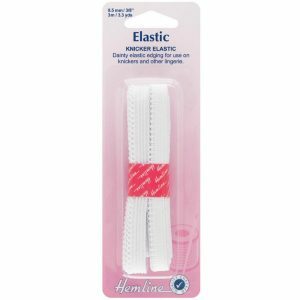 Knicker Elastic: White 3m x 15mm. Soft comfortable elastic for knickers and other lingerie. Dainty picot decoration on edges. 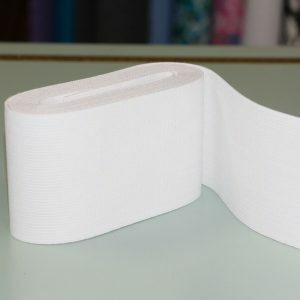 Knicker Elastic: White 3m x 9.5mm. Soft comfortable elastic for knickers and other lingerie. Dainty picot decoration on edges. Add in the elastic element with style to your sew projects with this remarkable Birch Elastic Belt. 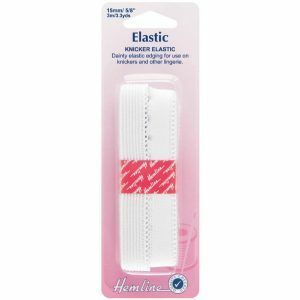 Nice to the eyes and touch, its elasticity made to last and surely enhance your sew projects. 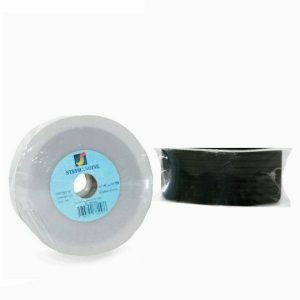 Elastic Belting 60mm, 10m per roll. This elastic belting can be styled to look elegant or casual. Suitable for all your fashion wear.